There are vast quantities of seawater available; drinking water, on the other hand, is in scarce supply. Desalination plants can convert seawater to drinking water. Yet these plants require pipelines made of a special kind of steel or titanium – expensive material that is growing increasingly difficult to procure. Heat-conducting polymer composites may soon replace titanium altogether. Researchers at the Fraunhofer Institute for Manufacturing Technology and Advanced Materials IFAM in Bremen are now developing an alternative to the titanium tubes: pipelines made of polymer composites. The special thing about this method: the polymer composites are a plastic, and yet they conduct heat. Another benefit: they can be produced in continuous lengths and are correspondingly more economical than their metal counterparts. But what did researchers do to make a polymer heat-conducting? “We introduced metal particles into the material – or more precisely, we add up to 50 percent copper microfibers by volume. This does not change the processing properties of the composite, and it can still be processed as any other polymer would,“ notes Arne Haberkorn, a scientist at IFAM. The researchers have already developed the material itself; now they want to optimize its thermal conductivity. To accomplish this, they are installing the piping in a pilot seawater-desalination plant: here, they are testing its thermal conductivity, checking to see how much of a microorganism-based coating forms on the pipes, and how heavily the material corrodes in its salty surroundings. They then optimize the composite properties based on the results. The researchers have set the evaporation process to run at a temperature of 70 degrees Celsius – so there is hot gas heated to 70 degrees pumped through the pipelines. 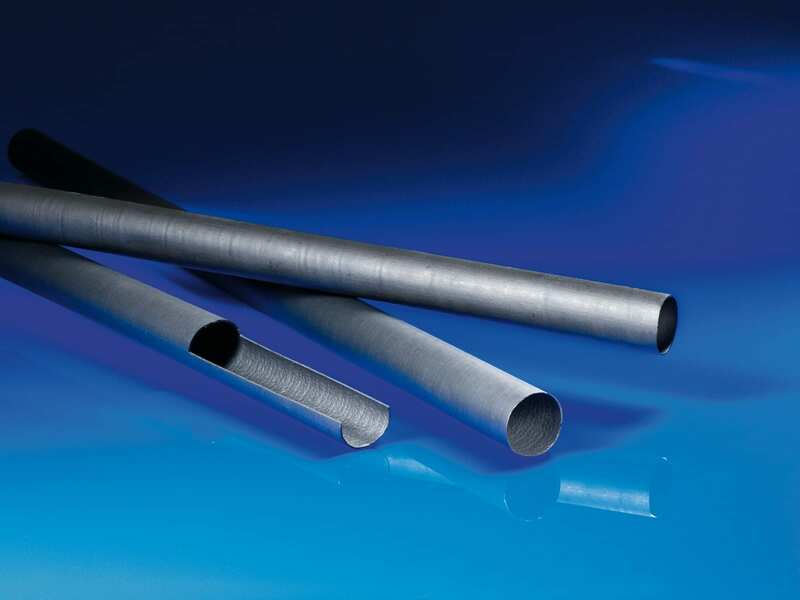 This offers several advantages: fewer deposits congregate on the pipes, the material doesn‘t corrode as quickly, and the pressure differential between the inside and outside of the piping is not as dramatic.